2018 saw the Vancouver Board of Parks and Recreation and Community Centre Association (CCA) partners embark on an exciting new chapter in their relationship through the renewal and implementation of Joint Operating Agreements (JOA) with 17 Associations. CCAs who have signed onto the new agreement include: Champlain, Douglas Park, Dunbar, False Creek, Hastings, Kerrisdale, Killarney, Kitsilano, Marpole-Oakridge, Mount Pleasant, Renfrew, Roundhouse, Strathcona, Thunderbird, Trout Lake, West End/Coal Harbour, West Point Grey. The renewed JOA affirms the Vancouver Park Board’s continued commitment to community engagement through a strong working relationship with the CCAs. The renewed JOA also clarifies the roles and responsibilities of both the Park Board and the CCAs for offering programming and services to the public, and to help ensure access to recreation services is maximized for all residents in all communities across Vancouver. Some Community Centre Associations have been offering benefits, discounts and free membership to their communities for years. Under the new JOA, residents will be able to access the following benefits, discounts and free membership across the city (with the exception of Sunset, Kensington and Hillcrest community centres). Use your OneCard and Flexipass across the city at all pools, rinks, and fitness centres. Your Leisure Access Pass will be valid at any centre. Under the new JOA, membership at all community centres will be free. Access new programs that will be developed collaboratively and offered across the city. New JOA's have not been signed with Sunset, Kensington, or Hillcrect Community Centers. CCAs are valued partners in service delivery and play an important role in Vancouver’s recreation system. 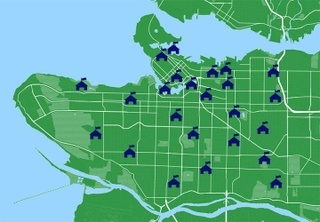 Vancouver has 24 community centres with pools, rinks, fitness centres, meeting rooms, libraries, and childcare with programs for people of all ages and abilities to play, exercise, learn, and connect with others in their neighbourhood.